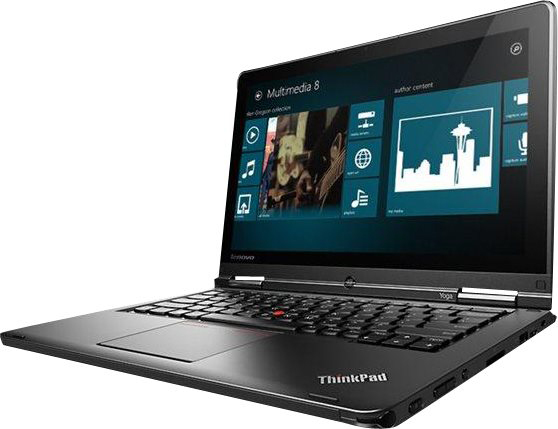 The ThinkPad Yoga S1 delivers flexibility for business. It adapts to any space or situation with a 360-degree rotatable display that offers four different usage modes - Laptop, Tablet, Tent and Stand. Powerful Intel Core processor lets you sail through your business tasks, while the 12.5" multi-point touchscreen offers intuitive way to interact with Windows. 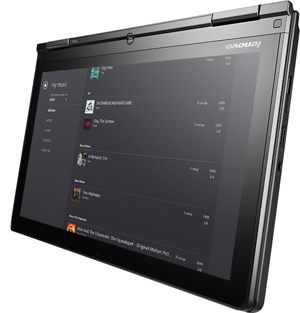 And boasting legendary ThinkPad reliability and a range of business and security features, the Thinkpad Yoga S1 is the ultimate multimode business Ultrabook. Starting at a mere 3.5 lbs. 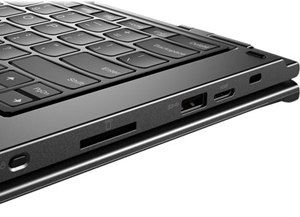 and just 0.75" thick, the ThinkPad Yoga is ultraportable — it's perfect for doers on the go. 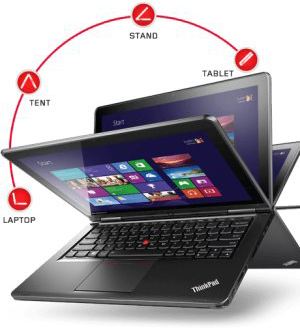 Select models include a digitizer pen to maximize productivity on your ThinkPad Yoga. In all four modes, the digitizer pen provides a natural, fluid, writing experience and lets you take notes, sign documents, annotate PDFs, and more. Interact with your ThinkPad Yoga by using simple, intuitive gestures directly on the 12.5" HD 10-point multitouch display. Its advanced multitouch technology provides a superior touch experience, greater responsiveness, and faster response times. Stay productive by picking up where you left off in an instant. 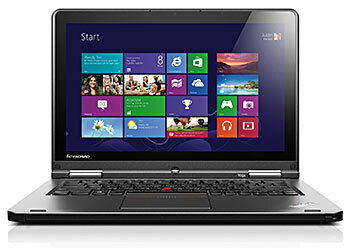 The ThinkPad Yoga wakes from sleep mode in less than 2 seconds and from hibernation in less than 7 seconds.